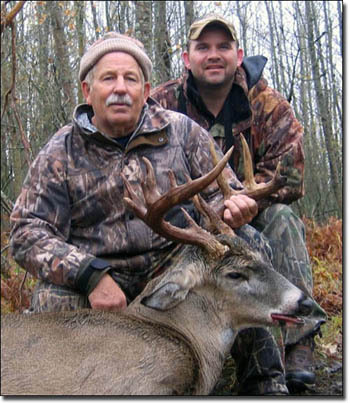 Trophy Whitetail Hunting Packages include 2 nights/ 2 days and meals at our onsite lodge. Additional nights and/or non-hunting guests are $150 per night. Mature doe hunts are $395 each. 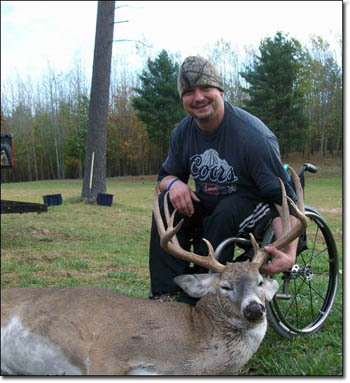 If a whitetail buck hunter wishes to shoot a doe in addition to a buck, the cost is an additional $250. No License required. No hidden fees as everything is included. $500 deposit is required at time of booking your deer hunt. Deposits are non-refundable but can be applied towards a future deer hunt. See our Hunting FAQ and Lodging Pages for answers to more questions. 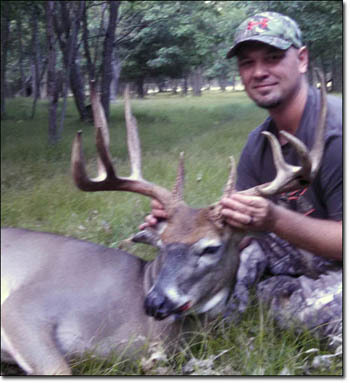 THE BUDDY HUNT - deer hunters killing bucks above 200 inches qualify for the buddy hunt special. Your buddy, son, friend, mother, father, brother, husband, wife, etc stays free, eats free, and shoots a doe free! whitetail bucks 200" or larger! 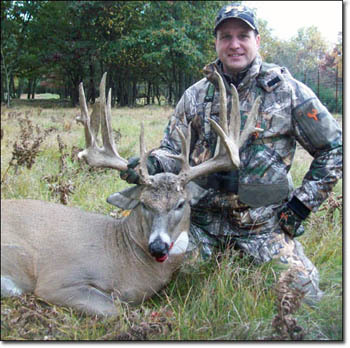 Trophy bucks 190 inches to 199 inches - $6,950. 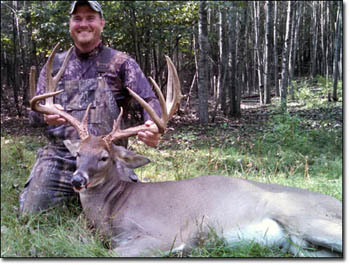 Mature trophy whitetail buck scoring in the 190"s SCI. 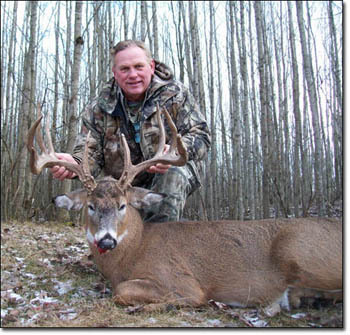 Trophy bucks 180 inches to 189 inches - $5,950. Trophy bucks 170 inches to 179 inches - $5,150. Trophy bucks 160 inches to 169 inches - $4,450. Trophy bucks 150 inches to 159 inches - $3,800. Trophy bucks 140 inches to 149 inches - $3,150. 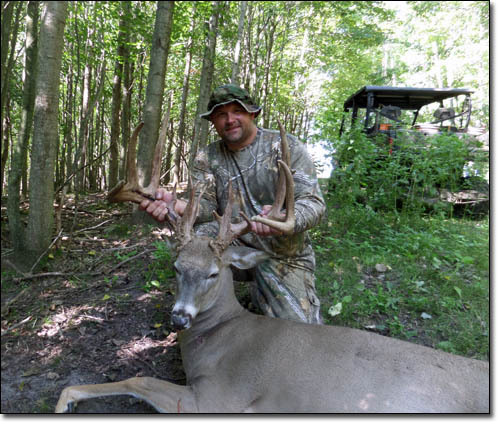 Cull buck hunts are 1-day hunts. Doe hunts $395 to $250 when accompanying a buck hunt. 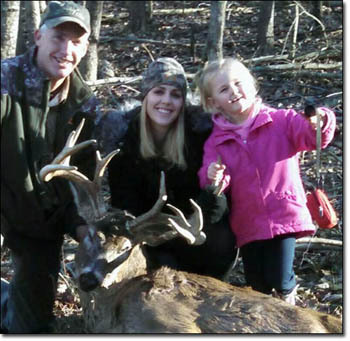 See More Whitetail Deer Photos Of Trophy Bucks.